Move-in-ready. The Storybook is a stunning new plan by Inspired Homes. 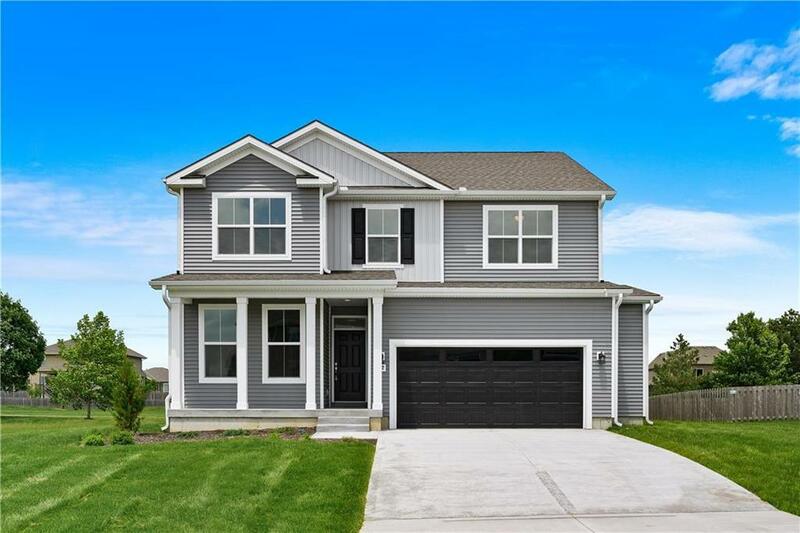 There's so much space in this two story, 4 beds, 2.5 baths with flex room & mud room on main level PLUS loft on 2nd level. Spacious living w/ fireplace, kitchen island, granite counter tops, SS appliances. Extended garage & basement offer great storage. Sprinkler system & home warranty included. Community pool, cabana, playground in place. Quiet neighborhood yet close to shops & major highways. Enjoy Lee's Summit amenities at Cass County prices. Directions: Kensington Farms Community is located in Lee's Summit, MO. Just South of County Line Road in between Ward Road and Pryor. HWY 150 to Ward, South on Ward, the community is on your right after you've passed County Line Rd.